What’s the secret to sketching animals? Sketch them while they are sleeping. Actually, this works well for sketching children too. 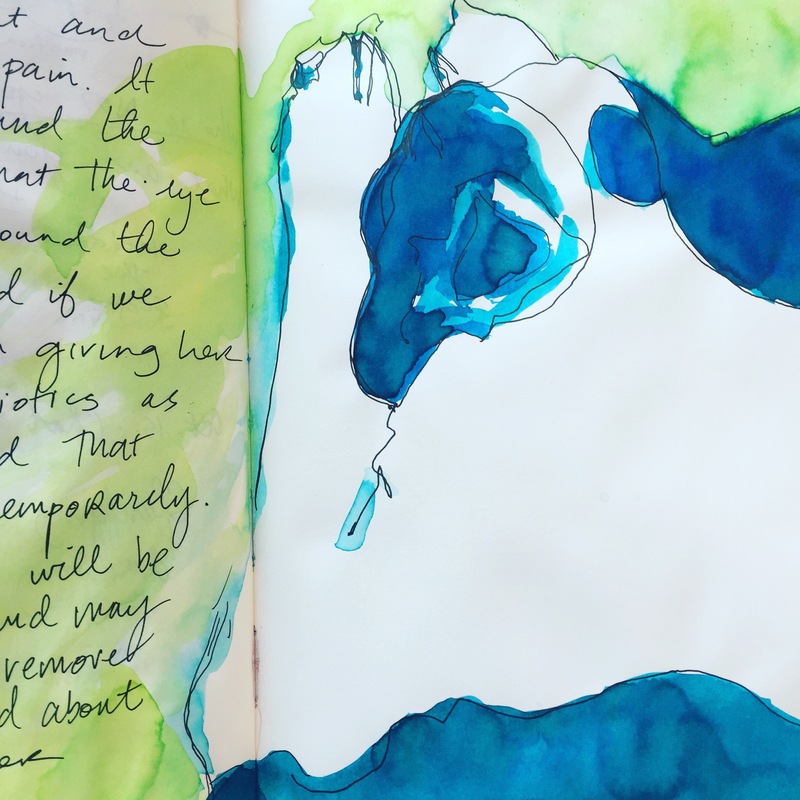 The key is that your subject stays still so that you have time to observe and draw. So, if you have a pet, you’re in luck. Whip out your sketchbook and catch those critters while they rest. Our 14 year-old Boston Terrier, Sidney naps frequently – the perfect model. What if you don’t have an obliging pet? Head to the University of Zurich’s Zoological Museum (est. 1833) and you can get up close and personal with over 1500 animals – stuffed that is. Not moving. Easy to draw. On display, you’ll find all manner of beasts. From Birds-of-paradise to Swiss Schneehäsli (not the type found on the slopes of St. Moritz), the collection includes animals native to Switzerland and critters from around the world. You’ll even see dinosaur bones, fossils and lots of bugs. Sketchers are welcome and the museum provides folding chairs to sit and draw. Just ask at the counter if you can’t find them. 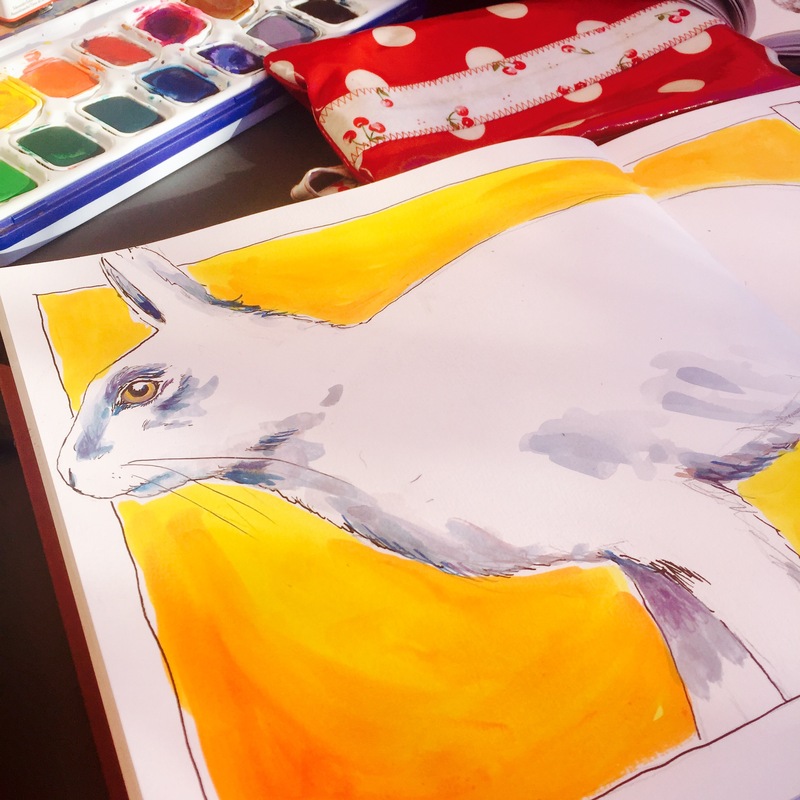 Sketching a native species, the Schneehase. The museum’s small café is a great place to meet friends and sketch together. Keep in mind that Wednesday is the busiest day for school tours and is like being stuck with ants partying over a discarded enchilada and a sticky splash of Coca-Cola. If that’s your thing, could be fun. Let’s just say, unless you want to sketch the kids too, I suggest going on another day. I usually try to do as many sketches as I can and save the painting for when I get home. Using Caran d’Ache gouache paints and ink to finish the sketch. 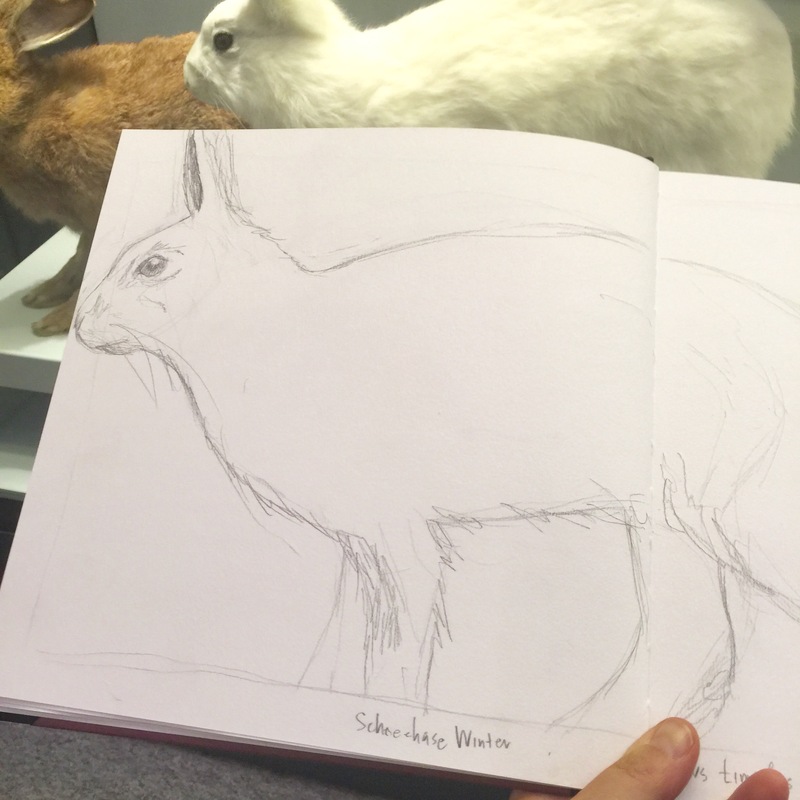 Sketching at Zürich’s Zoological Museum is my favourite option when the weather is lousy. Each visit offers endless opportunities to practice, train my observation skills, improve and appreciate nature’s creativity. Give it a try. You’ll find directions and opening hours here. Next > Scandal in Zürich: Do you know your Dada?